The Maltese Islands are steeped in heritage. 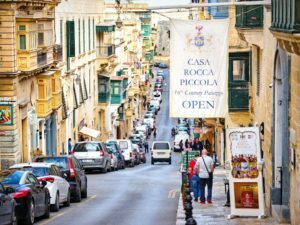 Of the two inhabited islands – Malta and Gozo – the island of Malta is the archipelago’s cultural and historical centre; indeed, here we find the greatest density of monuments to the islands’ fascinating history. We can’t possibly discuss Malta’s cultural and historical heritage without the Order of the Knights of St John featuring heavily. This Catholic military order ruled Malta from 1530 to 1798; during this time, they erected a wealth of palaces in Malta that reflected their grand lifestyle. Marquises and other nobility built the other opulent buildings in Malta. 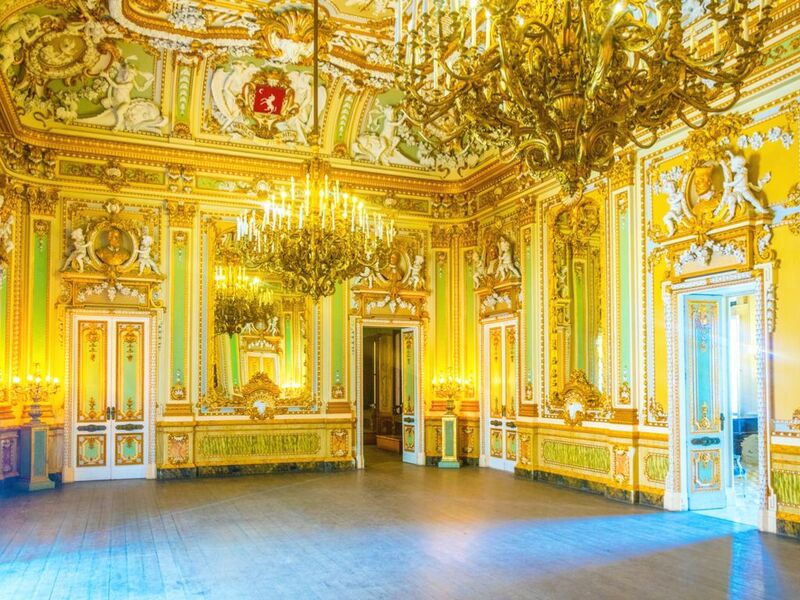 Let’s take a tour of the most magnificent Malta palaces that you can visit. You really can’t miss the imposing presence of the Grand Master’s Palace looming over St George’s Square on Republic Street, Valletta. One of the first buildings erected in the city, the Palace was home to many important figures in Maltese history. Originally built as a residence for the head of the Order, the Grand Masters inhabited the Palace in succession; each Grand Master enlarged and embellished the Palace’s original structure. By the mid-18th century, the Grand Master’s Palace had developed into the grand, dramatic building we see today. Yet, the Order’s dominion over Malta and the Palace ended abruptly during the French occupation (1798–1800). When Malta voluntarily became part of the British Empire and the French surrendered, the Palace became the official residence of the Governors of Malta. They, in turn, also left their mark on this magnificent structure. Today, with Malta having gained its independence, the Palace now houses the Office of the President of Malta. Spectacularly and exquisitely furnished, the Grand Master’s Palace’s State Rooms are open to the public. Here, the Palace’s Armoury houses one of the greatest collections of arms and armour in the world. In the Throne Room, you’ll find the original, resplendent, throne used by Grand Masters and British Governors alike. The Throne Room’s original coffered ceiling, late 18th-century chandeliers and impressive frescos lend it a sense of opulence and grandeur. These wall paintings vividly depict the Great Siege and remain among Malta’s most important pieces of artistic history. What’s more, they were painted by Mattia Perez D’Aleccio, a student of Michelangelo and artist on the Sistine Chapel. Meanwhile, the magnificent tapestries hanging in the former Council Chamber of the Order preserve their intricate designs and vivid colours despite being over 300 years old. Keep your eyes peeled for any events held in the grand courtyard of the Grand Master’s Palace, sometimes used as a venue for cultural events and concerts. 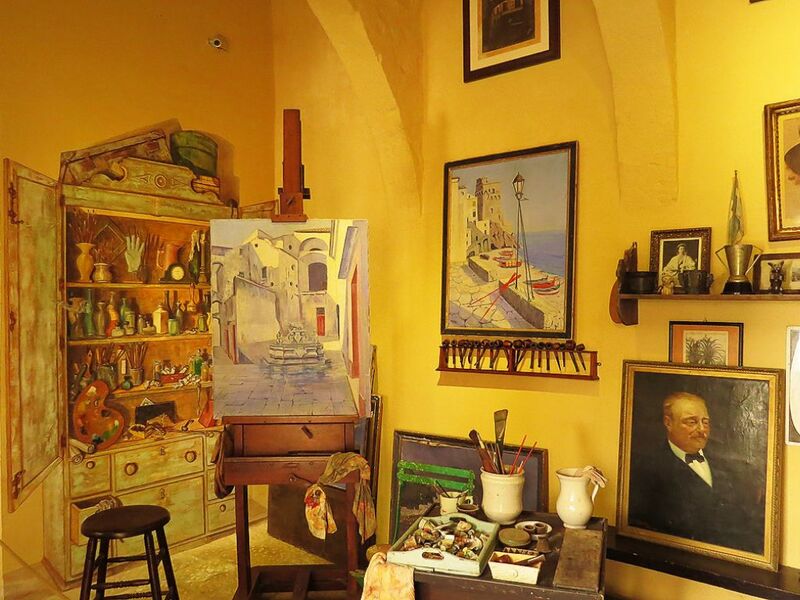 Just minutes from the Grandmaster’s Palace in Valletta is another of the capital’s treasures, Casa Rocca Piccola. 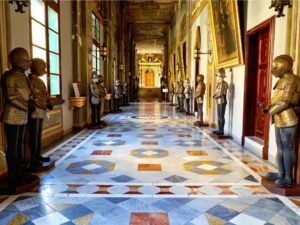 This 16th-century Palace – originally built for Don Pietro La Rocca, a Knight of Malta – is now the much-loved ancestral home of the 9th Marquis de Piro and his family. Take a guided tour to discover the Palace’s many fascinating secrets; the Marquis and Marchioness de Piro themselves host private tours. Filled with furnishings and fascinating objects across 400 years, the Palace is described as a ‘living museum’. Twelve rooms are open to the public, including not one but two dining rooms (one for the summer and one for the winter, of course!). In each room, you’ll find new treasures. In particular, look out for the 18th-century golden sedan chair in which La Rocca was carried by Turkish slaves. A wealth of paintings adorn the Palace’s walls, including the present Marquis’ unrivalled collection of modern paintings; enjoy the fascinating contrast between these and the ancestral portraits that sit alongside. As you feast your eyes on this Palace’s lavish decoration, you’ll gain a glimpse into the lives of its inhabitants of a bygone age. Outside, while away some time strolling among orange trees in the Palace’s luscious garden. And round-off your visit with a meal at the charming Sicilian restaurant set in the beautifully converted old kitchens. Expect the unexpected! Beneath the Palace’s floors lies a network of underground tunnels hand-hewn from the rock. The caverns at the end of the tunnels were air-raid shelters for the Marquis’s family and their friends and neighbours during World War II. Imagine fleeing here at the sound of terrifying sirens announcing heavy bombing as you explore this bonus attraction. 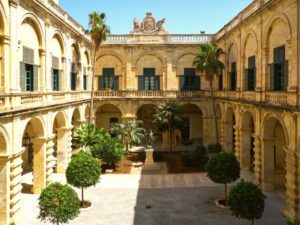 This time we head to Malta’s old capital, Mdina, to visit one of the oldest Malta palaces, Palazzo Falson; its ground floor dates to the 13th century. Although it has seen many inhabitants over the course of time, its final owner, Captain Olof Frederick Gollcher (1889–1962) has left a legacy for future generations. Among other things, Gollcher was an art and antique collector. 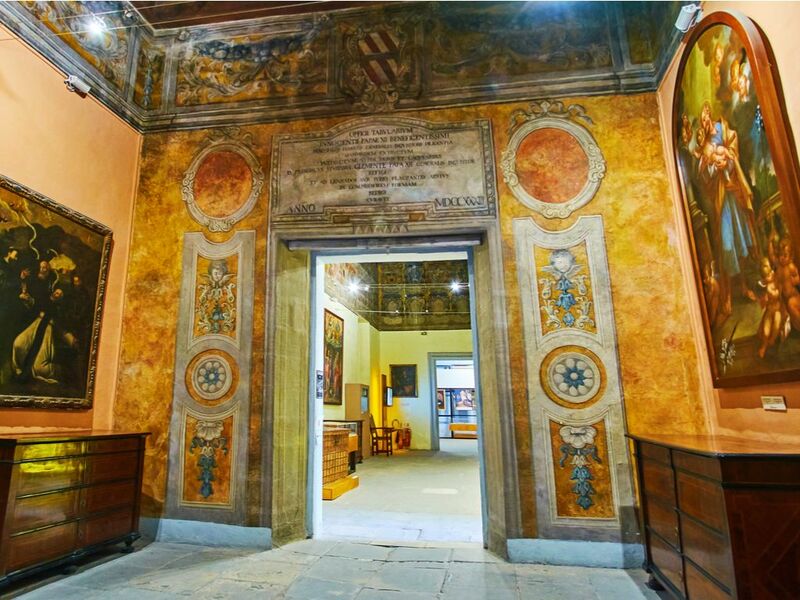 Palazzo Falson was not only his home, but also his exhibition space. After his death, the Gollcher Foundation was established to display his collections to the public. Following his wish, the Maltese Heritage Foundation restored the building and all its contents and the museum opened in 2007. 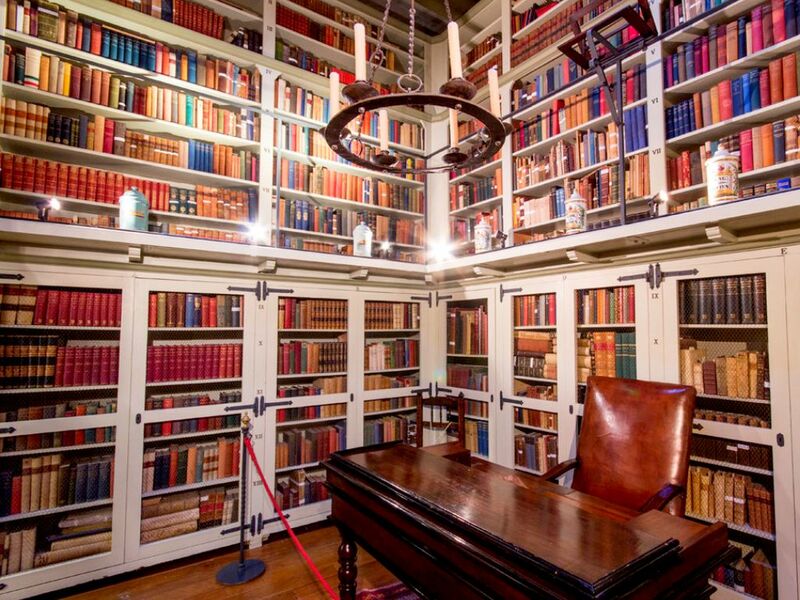 This museum is unlike any other; forget display cases and objects stored under lock and key. 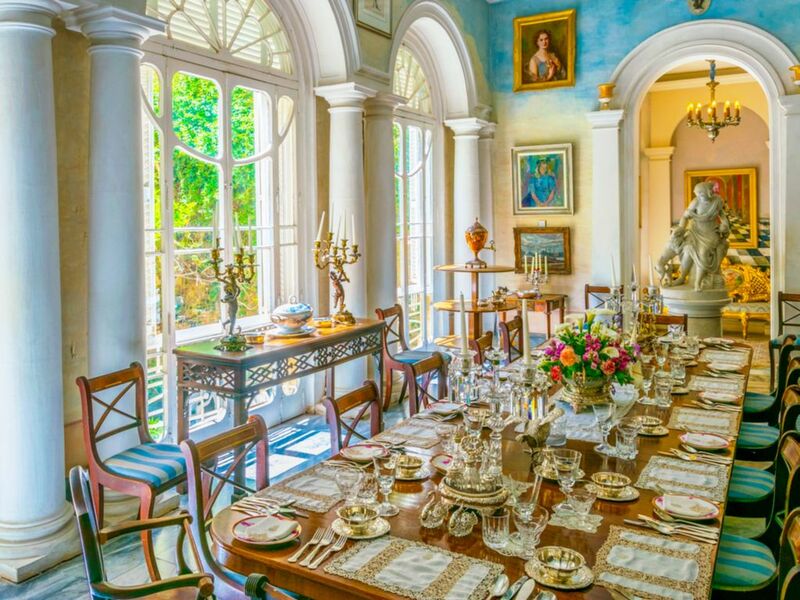 Here, Gollcher’s 45 outstanding collections (with over 3500 historical objects and pieces of art) are displayed around the house, as if awaiting Gollcher’s return. From jewellery to paintings, arms to Oriental rugs, Gollcher’s varied interests will keep you fascinated for hours. And, for the bookworms among you, Palazzo Falson is also home to an incredible library of over 4,500 books and several valuable manuscripts. What’s more, temporary exhibitions display artefacts from the house collection alongside complementary pieces from other Maltese collections. Before you leave, you truly must head to the museum café, a glorious roof-top spot. Enjoy a cup of tea or coffee – or perhaps something a little stronger – while taking in the panoramic views of the whole island. This 19th-century palazzo in Naxxar was built by the Marquis Scicluna. Hiding behind modest Art Nouveau façades, you’ll find spectacular Baroque architecture and a vast wealth of fascinating artefacts. The grandeur of Palazzo Parisio permeates through every room, from exquisite frescos and wall paintings to extravagant chandeliers. Step into the entrance hall and you’re greeted by four imposing life-size marble sculptures. Then, proceed up the magnificent grand staircase and across the landing, where you’ll find yourself flanked on either side by suits of armour standing proudly to attention. Notice the beautiful Vatican-inspired paved floor below and marvel at the ornately decorated ceilings above. The opulent ballroom, with its mirrored walls and flamboyant ceilings, exudes splendour. A sight to behold, the dominant theme of the room is the Order of the Knights of St John; seek out the eight busts of the Grand Masters. The music room possesses a golden aura, with every item of furniture exquisitely gilded with 24-carat gold leaf. Now, look closely. Notice musical motifs making up the furniture’s elaborate patterns. And, admire the intricate design of the mosaic floor inspired by the Maltese Cross. Note also that the Marquis’s bedroom leads to a private chapel, a privilege granted to the Marquis and his wife as notable contributors to the church. Just as impressive as the interior are the Palazzo’s gardens. Classically Baroque in style, the garden enjoys seclusion and peace within its walls. In this charming garden, expect a delight of colours and smells all the year round. From winter’s citrus fruits to summer’s dahlias and the heady scents of orange blossom in the spring, the gardens truly tantalise the senses. The Palazzo is the setting of many a fairytale wedding filled with splendour and sophistication. But you don’t have to attend a ceremony to dine in the lap of luxury. A delicious afternoon tea is served in the garden, on sunny days, or in the tea room, should you visit in colder weather. An elegant and charming 18th-century Maltese country villa in Attard, Villa Bologna is still lived in by descendants of the family that built it in 1745. The architecture of the villa offers many surprising delights. A particular highlight is the Baroque balcony on the front of the villa, an architectural feature unique to Malta. By contrast, the back façade features classic design elements of the 1920s. In particular, notice the beautiful stained glass windows creating shards of dancing coloured light. The villa’s majestic gardens mirror the design contrasts of the villa. 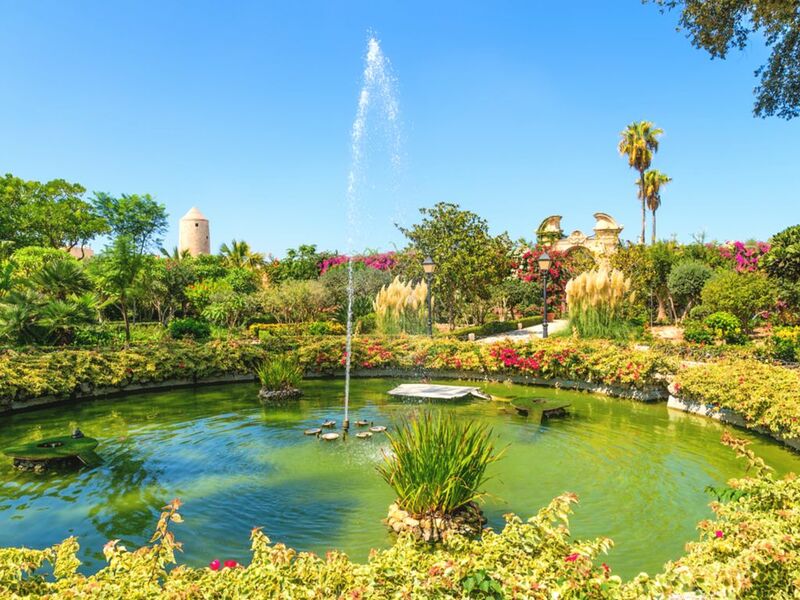 Wander among centuries-old citrus groves and calmly swaying palm trees to discover the many delightful features of this historic Mediterranean garden. From the dolphin fountain to the sunken pond, the Baroque nymphaeum to the vegetable and cactus gardens, there is much to explore within the calm serenity of the green spaces within the villa’s walls. The gardens at Villa Bologna are also the home of a delightful organic vegetable garden that opens shop with freshly cut home-grown vegetables three times a week as The Veg Box. There is also a shop selling handmade souvenirs, clothes and pottery. Built at the beginning of the 17th century by Antoine De Paule, a future Grand Master, San Anton Palace in Attard is now the fittingly grand permanent home of Malta’s President. Therefore, the palace itself, while displaying the grandiose style of the Knights, is not open to the public. It contains many interesting historic features and artefacts and features several chapels on its grounds, however, it is the gardens that attract public attention. 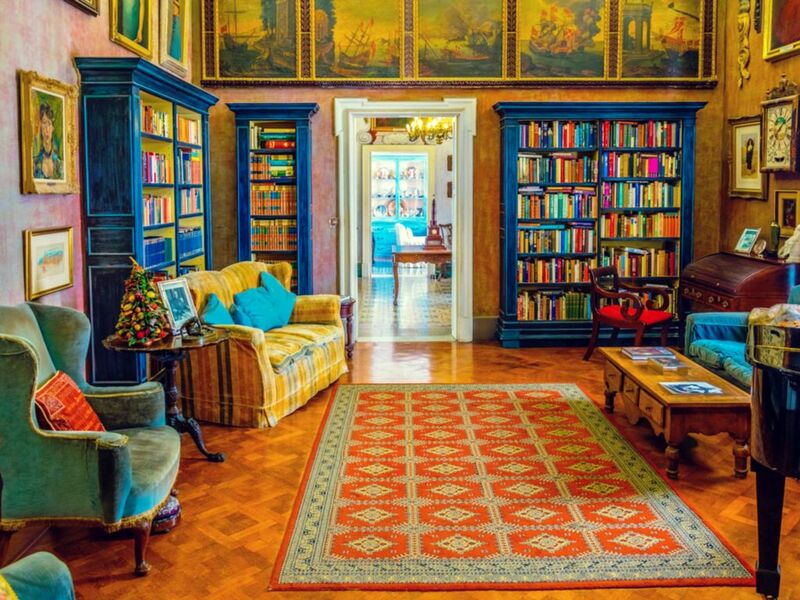 As a matter of interest, know that you’d find the armchair on which Pope Benedict XVI sat in the Piano Room; the effortlessly elegant Sitting Room honours Sir Anthony Mamo, Malta’s first President; and the Grand Master’s Hall houses numerous portraits of the Grand Masters of old. The Palace is a jewel in the crown of the most beautiful gardens in Malta. 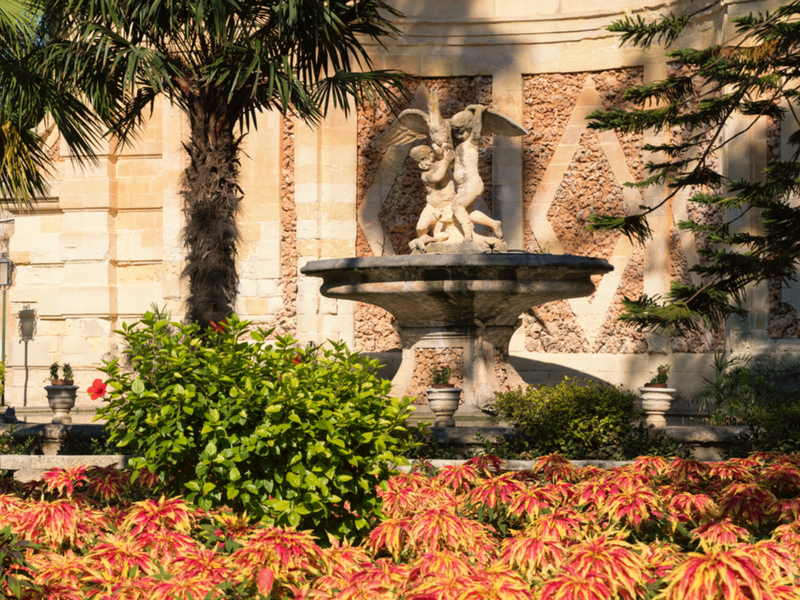 Indeed, the San Anton botanical gardens include a fabulous array of flora, interspersed with mature trees (some over 300 years old), beautiful stone sculptures and enchanting fountains. In spring, the gardens host the annual Horticultural Show while in summer, they are a venue for open-air theatre where you can enjoy drama, dance and musical performances. A relatively new addition to the appeal of San Anton is The President’s Kitchen Garden. 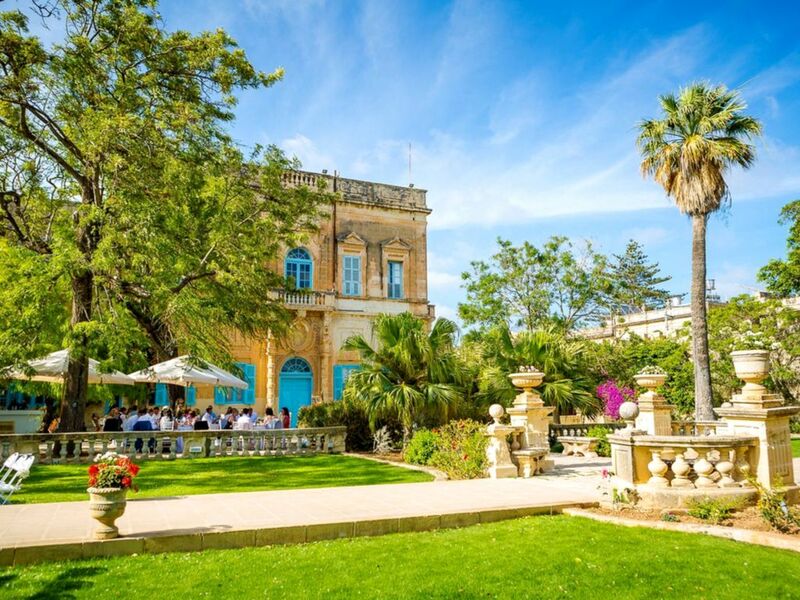 The beautiful garden, which provided the palace with vegetables since the time of the knights, is now a playing area with an animal park; in addition, the cafe donates all the profit to the Malta Community Chest Fund. 7. Which Maltese Palace Should Take This Place? 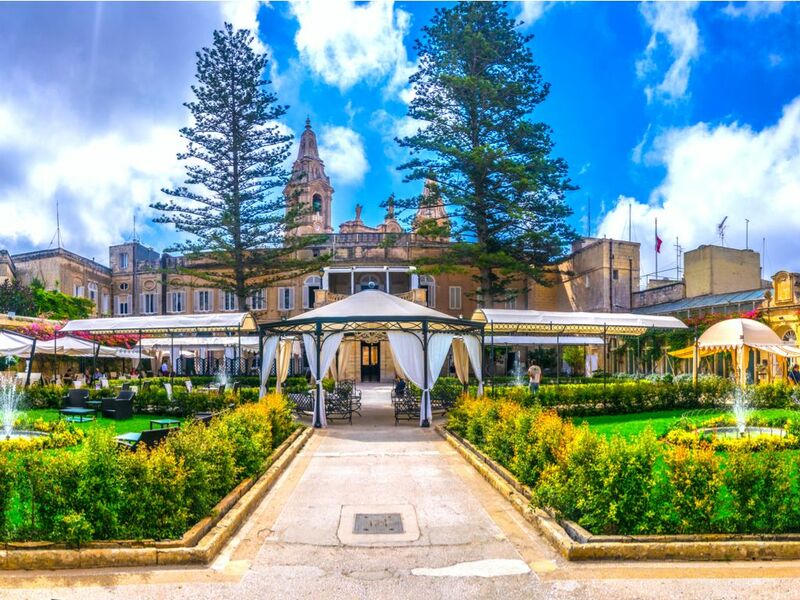 Did you know that Malta also has Bubaqra Palace, Capua Palace, Casa Leoni, Palazzo Costanzo, Palazzo Dorell, Dragonara Palace, Villa Francia, Girgenti Palace, Hostel de Verdelin, Palazzo Pescatore, Palazzo Santa Sofia, Selmun Palace, Spinola Palace St Julian’s, Verdala Palace, Vilhena Palace, Palazzo Zammitello and probably a few more Malta palaces we’ve missed out? Most of these are private homes or events venues and are not open to the public for general visits, but their grandeur can be admired even from the exterior. But hang on. We didn’t mention … the notorious … Inquisitor’s Palace! 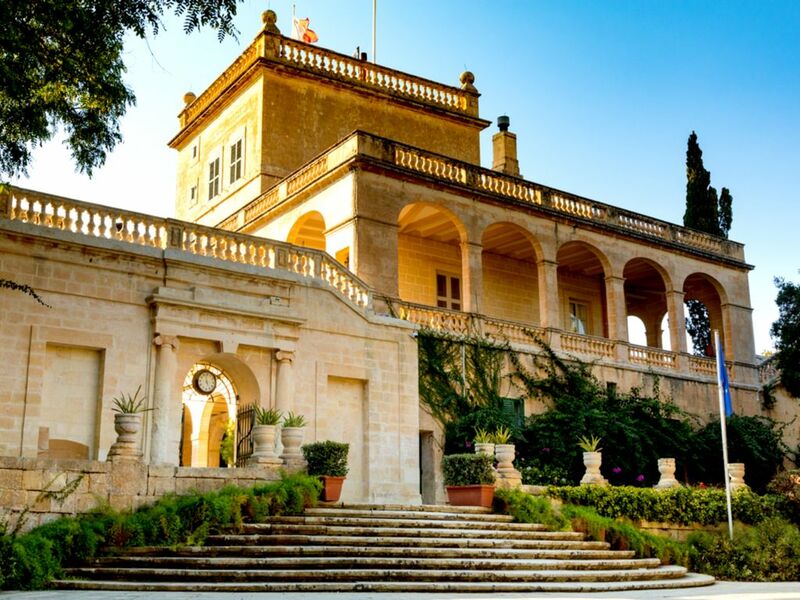 Contrary to the other Malta palaces featured in this article, which display opulence, art and fairytale gardens, the Inquisitor’s Palace is perfect for history buffs who enjoy a dash of the macabre. Expect gruesome torture chambers and eerie prison cells as part of the fascinating interior that’s hiding behind the building’s humble facade. 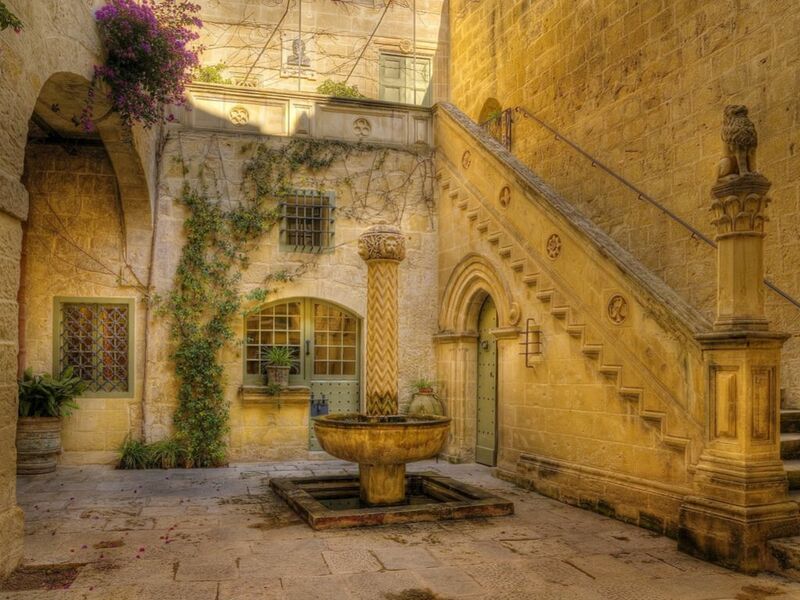 The 1530 palace in Birgu became the home of sixty-two successive inquisitors, who ruled ‘The Holy Office’ on behalf of the Roman Catholic Church from 1574 to 1798. Being the only Inquisitor’s Palace in the world that is open to the public, perhaps this should be the one that deserves to be number 7 on our list. Or do you think otherwise? Which of the Palaces in Malta has won your heart? One thing is certain: whether you’re looking to swot up on history, marvel at magnificent architecture, enjoy the tranquillity of palace gardens or marry in a fairytale setting, the palaces in Malta will satisfy. Discover also some of the other incredible Malta attractions awaiting you during your time on the Maltese Islands.